Electrify your look with the Leah's. 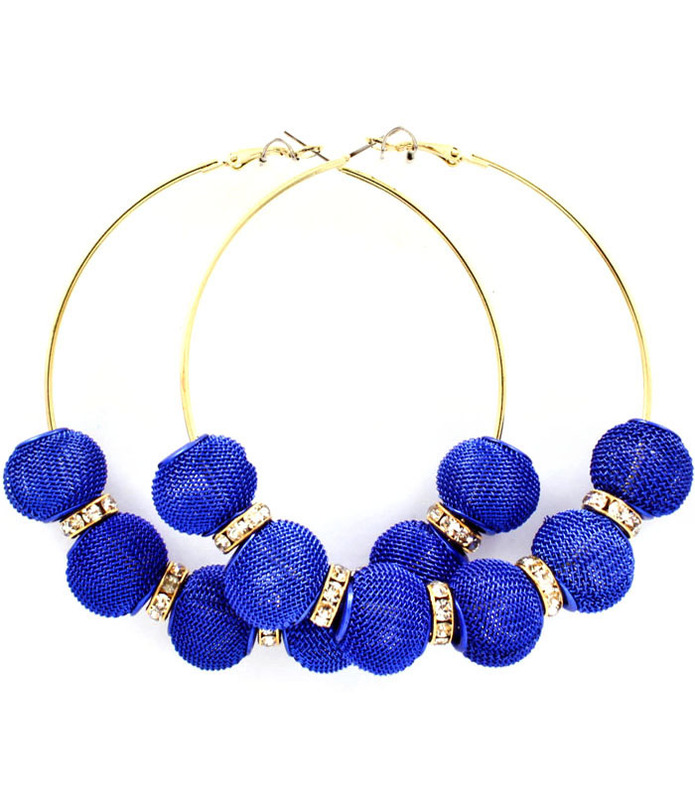 A classic gold hoop earring adorned with vibrant blue mesh ball beads between shimmering crystal spacers. Just as shockingly cool when paired with jeans or an L.B.D. Take advantage of our affordable cheap jewellery online and buy here now.